What does one wear to the Museum of Ice Cream? It feels like a lot more pressure than it should be. I spent more time than I care to admit trying to put together the perfect outfit, and after all of that work, I like to think that I succeeded. 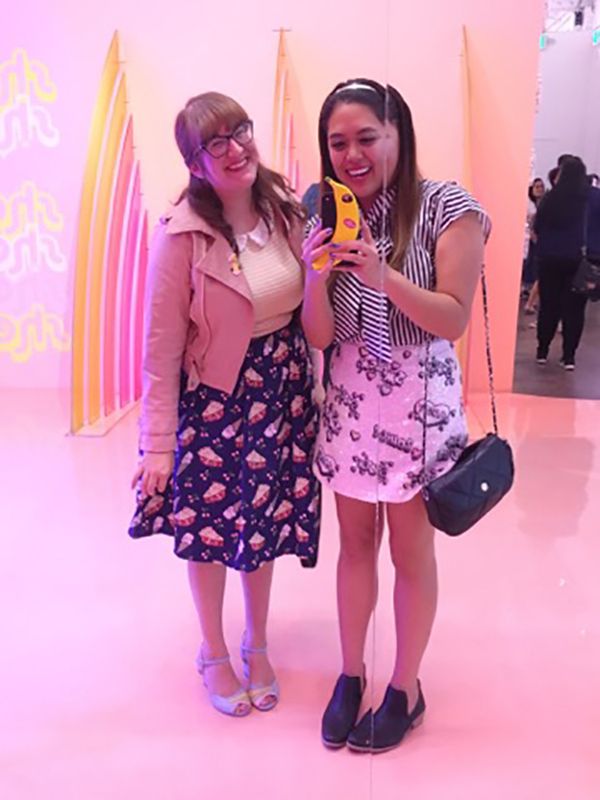 I went to the Museum of Ice Cream on Saturday with Erica, and it was a TON of fun. We got our tickets back in May or June, and it was worth the wait. We started off the night getting delicious pizza down the street, and then immediately were handed chocolate when we walked into the museum. It was everything I was expecting, but also quite fascinating to see in person. While the desserts and artwork were amazing, it really was just a long line of people taking photos for Instagram. Not that I'm complaining; that's obviously why I was there too. That said, it was hard not to chuckle once I realized that every room would be a moment of looking at what was in it until everyone would disperse to find the perfect spot to pose and take pictures. Considering how social media obsessed people are, it's a pretty genius concept for a museum. Even after being hyper-aware of the true reason of its existence, I couldn't resist it. I like to think that I don't fall into many of the negative traits of millennials, but when it comes down to it, I'm a millennial through and through. How could I not take photos with the pink phones, the hanging bananas, or the rainbow gummy bears? What am I, some kind of monster who can get on a swing and not take a Boomerang? Nah. I'm still about that life, and I'm so happy I had Erica with me to do cheesy poses and know when to take a camera shot vs. an iPhone shot. That's what true friends are for. And as for the perfect outfit? 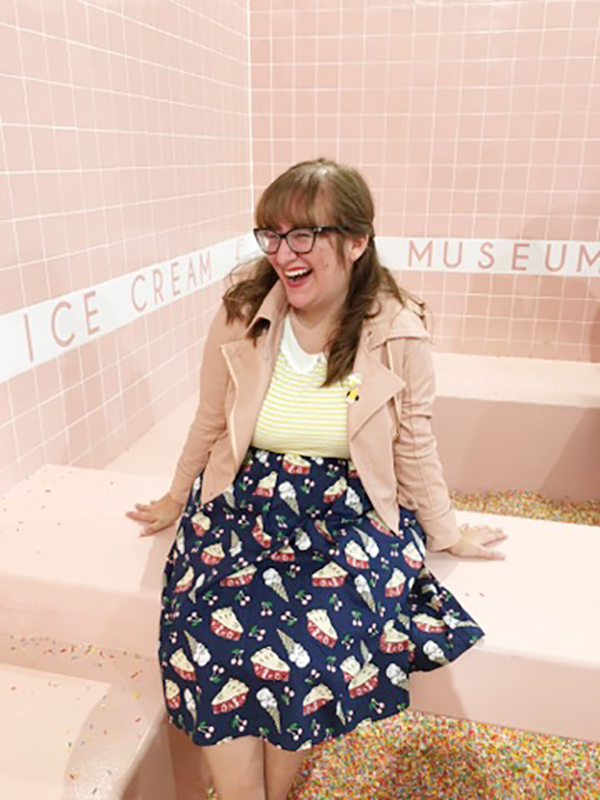 I got a Modcloth gift card recently, and I couldn't help but get this skirt with ice cream and pie on it. 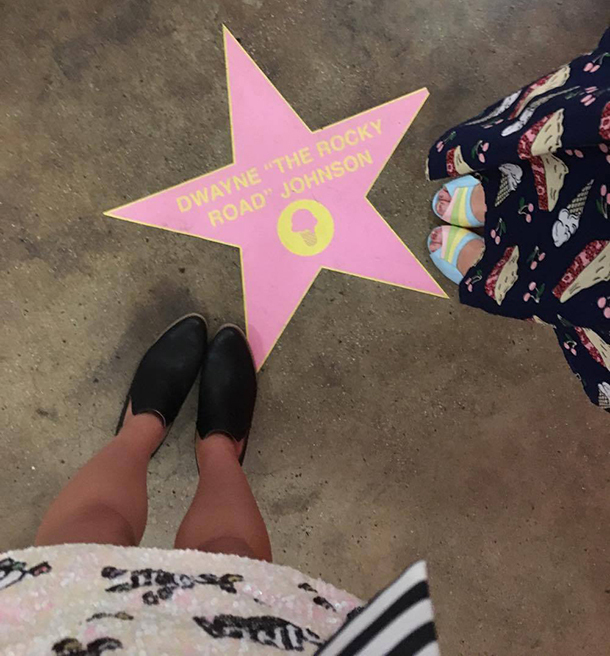 It seemed like a match made in heaven with my pink leather jacket (which, yes, was the exact same shade of millennial pink as the sprinkle pool) and my rainbow wedges. I want to live in this cheerful outfit every day, but I also want to live in this museum. That pink soft serve at the end was messy as hell, but I still can't stop thinking about it. Haha! Such a fun write up of your experience. And interesting to see how it feels to actually go as opposed to just seeing the end result of the cute photo. Its a nice intersection of reality with the fantasy the photos present. Sounds like it was fun! I wish I could go! Love both of your outfits, so cute! So jealous! I love everyone's pics from these...I want to go! Looks like you guys had so much fun! When I went, I noticed the same thing about everyone trying to get the perfect photo in each room, but that's what this is for, right? 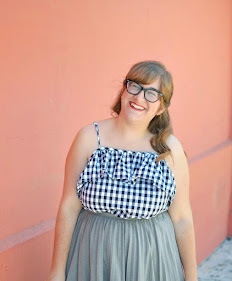 I've been eyeing that modcloth skirt for a while...and it's on sale now too!